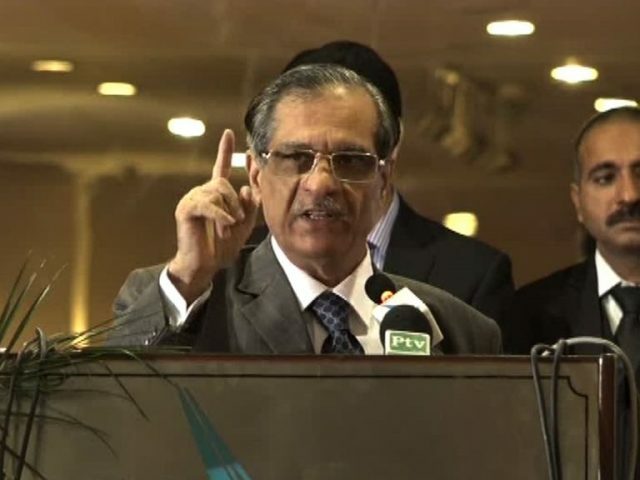 ISLAMABAD: Chief Justice of Pakistan Justice Mian Saqib Nisar Thursday said little Zainab was the daughter of an entire nation and the brutal incident that happened to her caused heads of the entire nation to drop in shame. Heading a three-judge bench hearing Al-Razi medical College case, he voiced grief over the sexual assault and subsequent brutal murder of Zainab in Kasur. The little girl’s body was found dumped on a garbage point located on Kashmir Chowk a hundred yards from her house in Kasur. The body of the minor was found five days after her appearance from her house located in Road Kot area of Kasur. The CJ Nisar also lamented the fact that gunshots were fired on the people who came out on roads to protest the brutal incident.